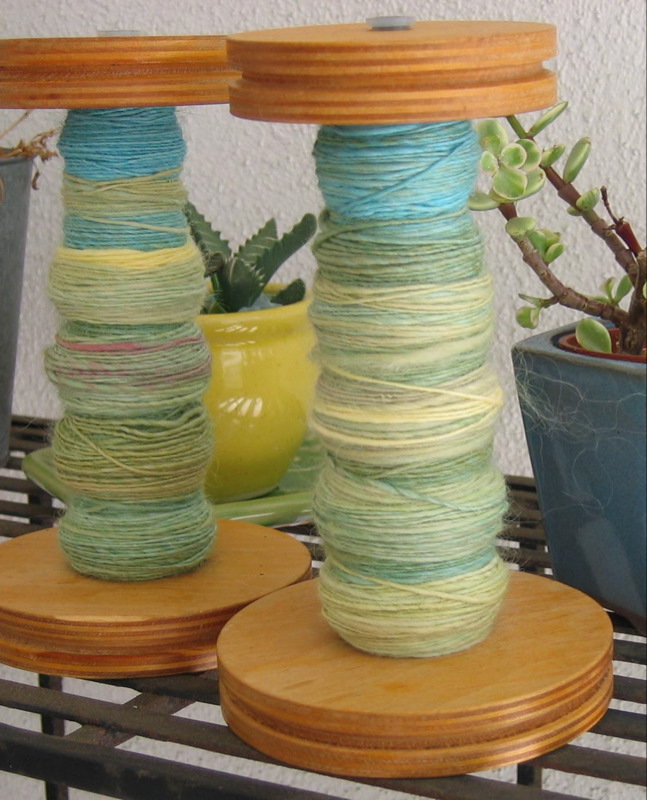 Four years ago I blogged about spinning yarn on leap day. A lot has happened in my life since then as I imagine it has in yours. I'd like to present a flashback to that day, because even though it was four years ago, it is resonating on my frequency today. Today is a special day that only exists in secret gardens, magic castles, and enchanted forests... a hidden room behind a bookcase, a day in between days. It's a good day for making progress, for making a giant leap! Today I share with you a progression of fiber. 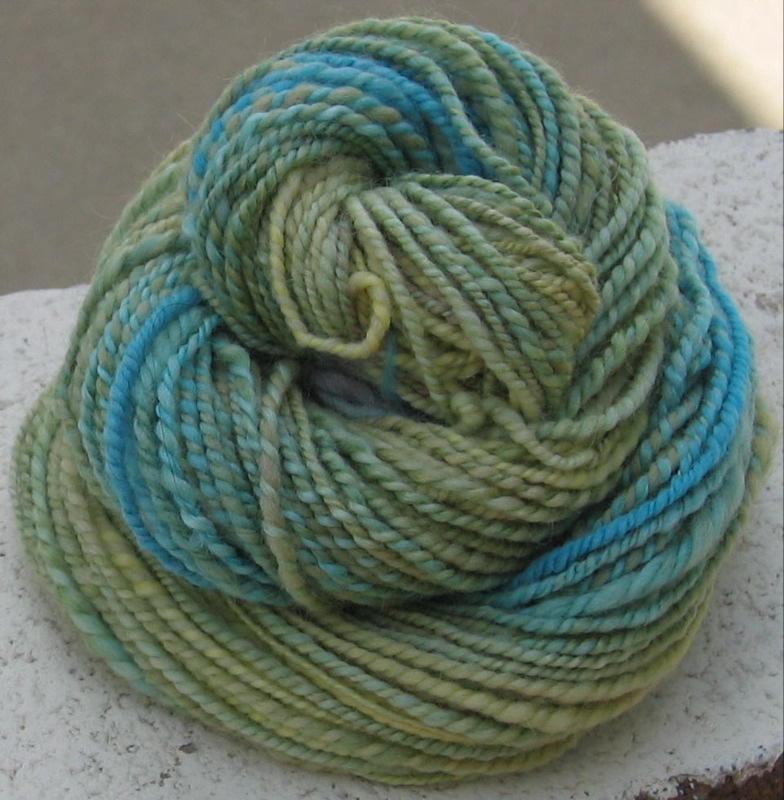 I dyed the wool, spun it up, and plied it together into yarn. It's now called Sea Change. Is it perfect? No. Was it once the clippings off a sheep? Yes. That is the sea change. Even as everything spins around in constant chaos, we have a free day. Use it for do-overs and new beginnings... I suggest. There is so much magic in creating things. It is a leap. I am a part of it and so are you. This day is for us! I needed that. Enjoy your extra day today, party people! And in other news, look out tomorrow for a new pattern. I am a knitter and spinner and a lot of other things. ABOUT ME: I have contributed both articles and patterns to a number of places in print and online, including Knitscene, Interweave Knits, Vogue, knitty, Ravelry, and the books "Knitting Socks From Around the World", "Joy of Sox," and “Expectant Little Knits”. In 2007, I was a guest on diy’s knitting TV show “Knitty Gritty”. 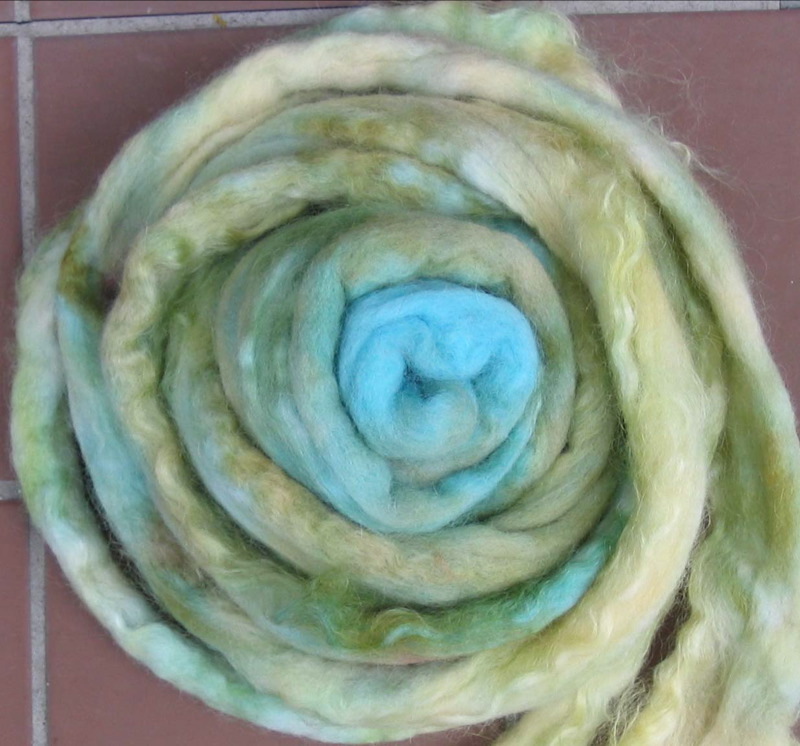 I started the annual online spin-along, The Tour de Fleece in 2006 to spin yarn along with the Tour de France. I’m especially proud of the ribbons I won for homespun yarn at the LA County Fair in 2006 and 2007. I love the way a big fair can combine excellence in craft with deep fried Oreos on a stick. I also teach sock design and other knitting classes at yarn shops and events like Sock Summit. When I’m not designing, I’m dreaming about designing. I’m also knitting, spinning, dying fiber, writing, doodling, walking, doing crossword puzzles, drinking tea, eating chocolate, stretching, contemplating the mystery of existence, and exploring the great Pacific Northwest. My Ravelry name is starathena. Let's be friends. Band Cuffs - free pattern! (C) Star Athena 2011. All rights reserved. Simple theme. Theme images by GelatoPlus. Powered by Blogger.